I seem to have collected a few green capsicums in my fridge this week and thought I’d try something new. 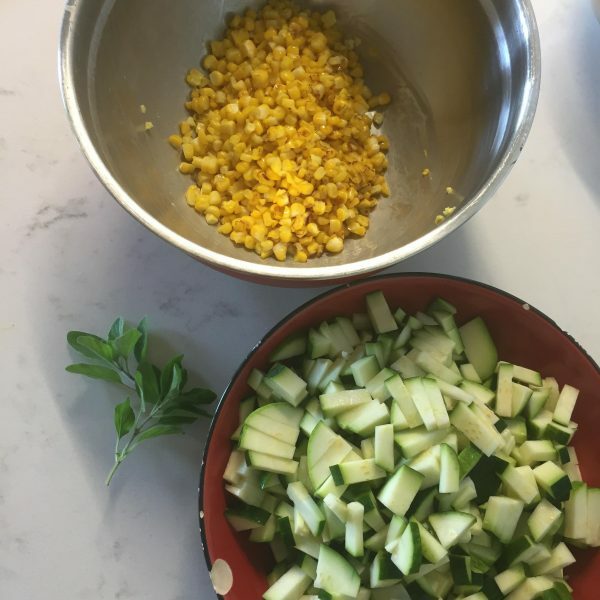 This recipe packs a whole lot of veggies into one tasty dish and if your children really balk at the idea of eating the capsicum, you could offer this with tacos or wraps instead. The capsicum serves as a cool bowl in any case. Place the capsicums bottoms up on baking paper, drizzle olive oil over them and place in oven. While they are cooking (for about forty minutes or until browning slightly), prepare the filling. Heat some olive oil in the pan and cook the corn on high heat for a few minutes. Season with salt and set aside on a plate. Add some more olive oil and cook the onion until caramelized. 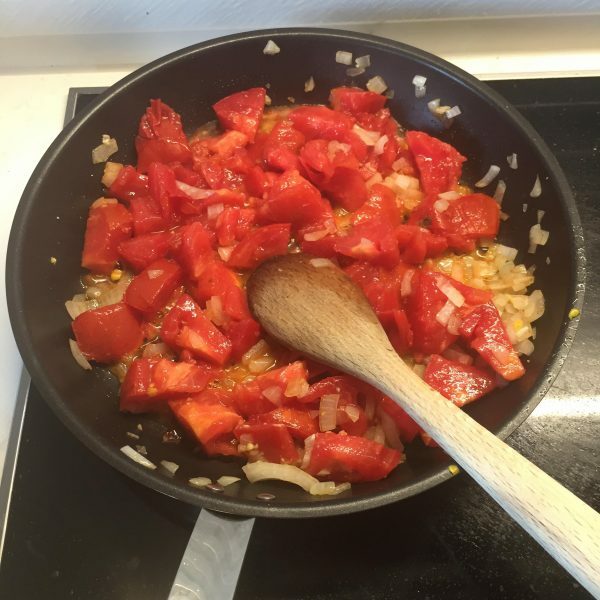 Add the tomatoes and cook for ten minutes. Add the zucchini and cook until softened (about ten minutes). 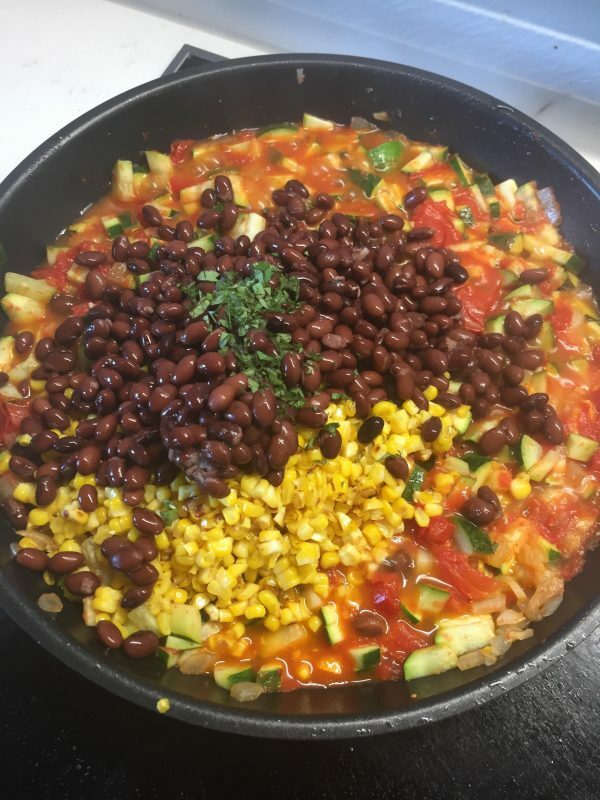 Return the cooked corn to the pan. Add the rinsed black beans and oregano and mix everything together. Cook for a few more minutes and season with salt and pepper. 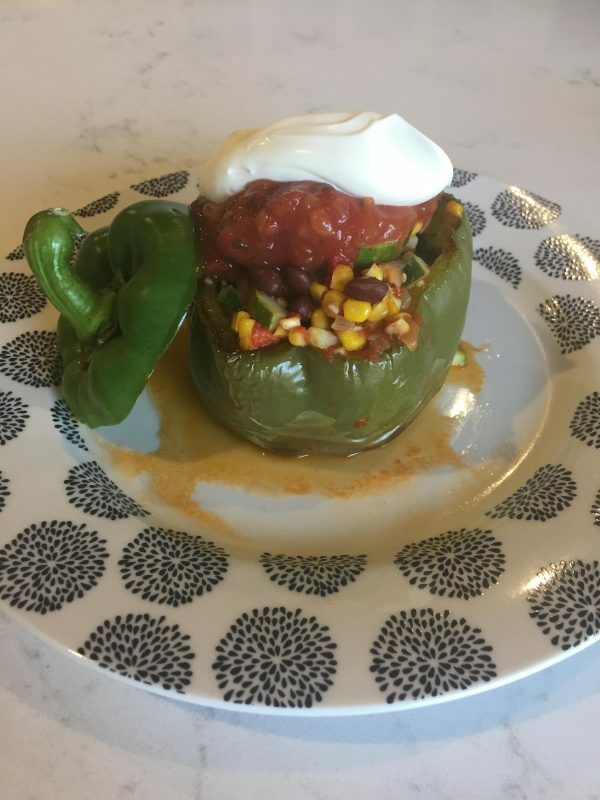 Fill the roasted capsicum with the Mexican filling and top with salsa and sour cream if desired. I had strong concerns that my children would not like this dish but even though two of them usually dislike capsicum, they actually enjoyed it roasted! They also enjoyed the filling (without the additional toppings). My meat-loving husband similarly liked the dish, though we may add some extra chilli or spice to his portion next time. I’m very pleased to be able to add this to our Meat-Free Monday repertoire! I hope you and your family enjoy it too!